Prof. D. Narayana is currently the Director of Gulati Institute of Finance and Taxation (GIFT). He held the Reserve Bank of India (RBI) Chair at Centre for Development Studies (CDS) before taking over as Director of GIFT in 2012. He was at the State Planning Board as Technical Advisor to the Board between 2013 and 2016. He was a Fulbright Fellow at Harvard Centre for Population and Development Studies, and a Visiting Professor at the Unit of International Health at University of Montreal. 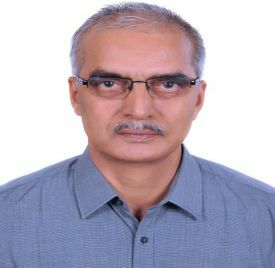 He led the team which prepared the report titled 'Domestic Migrant Labour in Kerala' (2013) which for the first time provided an estimate of the number of migrant labourers working in Kerala. His major book on health is, Slim Haddad, Enis Bariş, Delampady Narayana (Ed. ), Safeguarding the Health Sector in Times of Macroeconomic Instability: Policy Lessons for Low- and Middle-Income Countries 2008, Africa World Press, Trenton, New Jersey. He is a member of the Kerala Public Expenditure Review Committee. He is the Chairman of the Committee on implementation of Karunya Arogya Suraksha Padhathi, Kerala in alignment with Ayushman Bharat-Prime Minister Jan Arogya Yojana. He holds a Ph.D. from the Indian Statistical Institute (ISI), Kolkata. IGC Panel Discussion: Does Ayushman Bharat address the issues of healthcare delivery in Bihar?